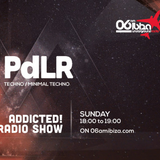 PdLR began his musical journey as a DJ by the name Parker in 1998, after he was for years the shouter in a crossover metal band . In 2008 he changed his name to Parker de La Rocca, short PdLR. 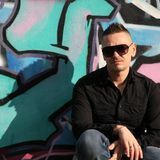 His sound is influenced by the great time of mega-raves & the young Progressive Scene in northern germany. His understanding of sound, rhythm & track construction is based on this and characterizes his style from this family background . with which he cheered the audience. The characteristics of the medium vinyl in selection & presentation he transmits to his digital DJ-equipment since 2012. Cue point&apos;s, Set&apos;s & lists are foreign words for him and would Parker only slow down on his show. The targeted treatment with samplers, digital effects and filters connects changed and he increases his and the track&apos;s from the biggest DJs to its unique and distinctive set and rocking it in a very particular kind.